Simply Matchmaking is proud to partner with other local businesses that maintain a commitment to delivering exceptional services and products. Check them out today! What does your vibe say about you and how is it affecting what you are (or aren't) attracting into your life? Gain astonishing insight about how internal and external conditions are impacting your energy and release patterns that are keeping you stuck. Styled Seattle specializes in personal shopping and wardrobe styling for men and women. They provide realistic, affordable and lasting solutions that reflect the best qualities of your personality and talents! 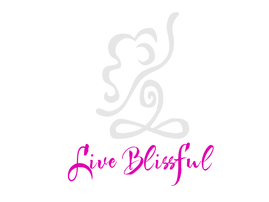 As a Lifestylist and creator of The Blissful Living Lifestyle System, Barbara Badolati takes a holistic approach to bring balance to your body, environment and state-of-mind, empowering you to experience a more Blissful Lifestyle everyday! Poplin Style Direction provides comprehensive personal styling for women, using her budget, body type and personal style to develop strategies for getting dressed each day. Client profiles, shopping lists and outfit galleries are all accessed by way of personalized, secure web-based tools.